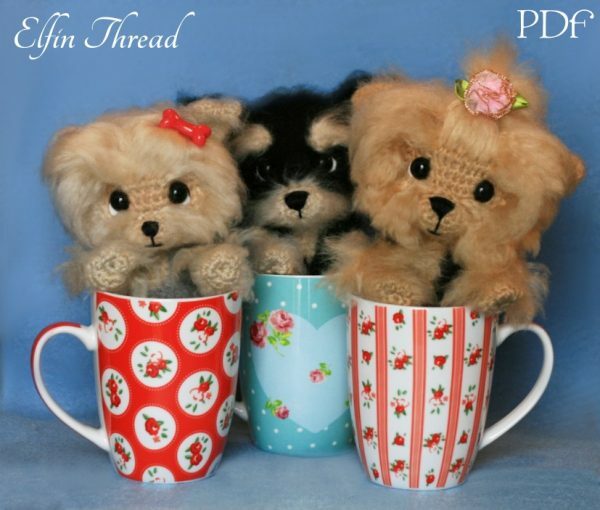 They are waiting for you to take them! 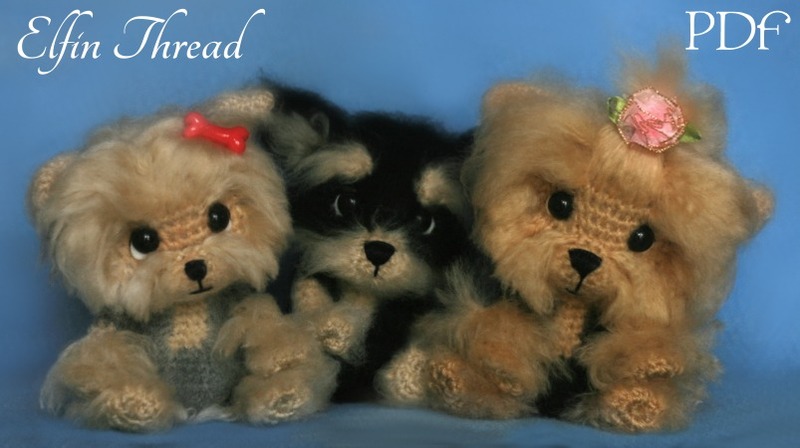 All three puppies are made from the same basic shape. 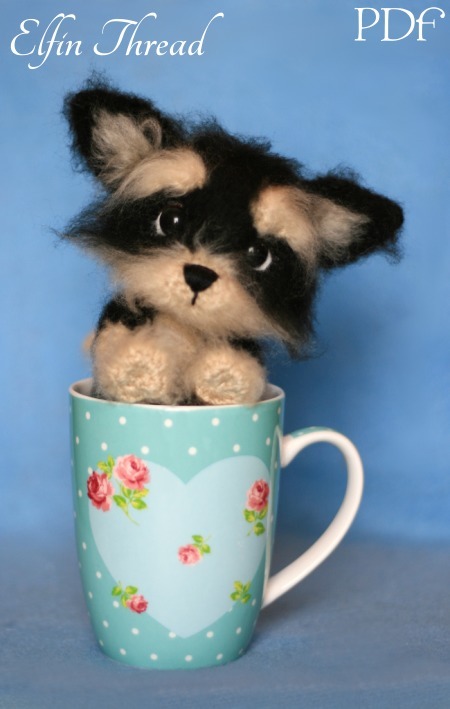 The finished dolls are about 7” high including the ears. 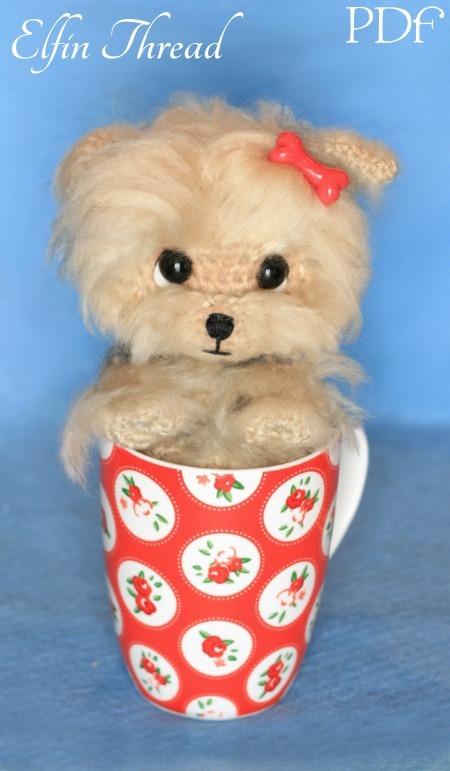 The skill level is easy/intermediate, but don’t worry: if you’re a beginner, the pattern includes detailed instructions easy to follow, with demonstrative pictures and four extra tutorials as an appendix. 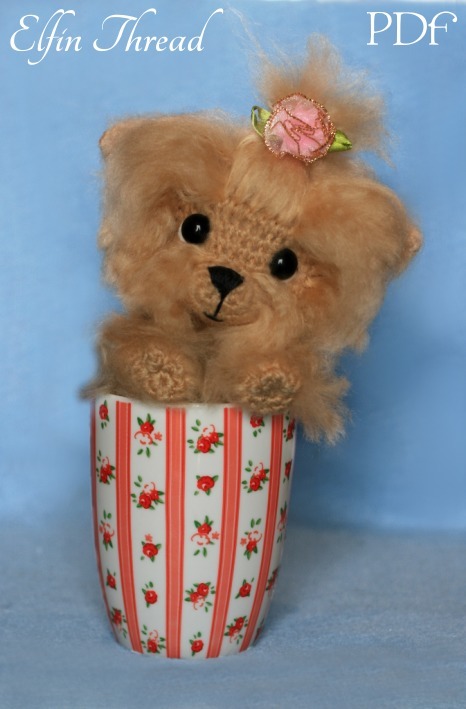 To make the dolls you need few things: scraps of yarns, a couple of crochet hooks, some stuffing and lots of love! WARNING: THIS IS JUST A PATTERN TO MAKE DOLLS, NOT THE FINISHED PRODUCT. 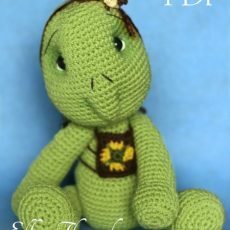 This is a pattern to make a sweet, innocent, Turtle so adorable that you will want kiss her day and night! 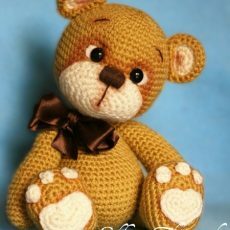 PDF pattern to make a teddy bear. 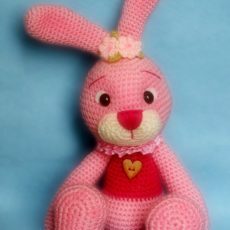 This is a pattern to make a sweet, innocent, Easter Bunny so adorable that you will want kiss her day and night! 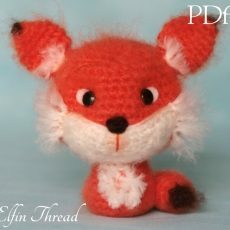 This is a pattern to make a sweet, innocent, Fuzzy Mini Fox so adorable that you will want kiss him day and night!